Whatever I do, my house seems to always look cluttered. What are some remodeling recommendations that could help me make the best use of common spaces like the living room and kitchen? Have you been inspired by watching Tidying Up with Marie Kondo on Netflix? We know we have! It seems like everyone is asking how to best clear the clutter and simplify their lives. Minimalism in home design is an interior design style that focuses on minimal ornamentation and simplicity. It encourages you to ditch embellishments, unnecessary decorations, and extra furniture and furnishings. When it comes to home design, consistency is a great place to start. Make simple color choices. Then, carry those choices throughout your home. Start with a neutral palette on walls, like white or gray. Choose artwork or simple photo frames that match. Don’t over-do it with wall decor. Since less is more to minimalists, you’ll want to focus on quality over quantity in all your home design ideas and remodeling choices. An experienced designer, like those who would be working on your project at Moss Building and Design, can help you make sure your beautiful home fulfills your needs. By thinking about how your family lives and what your specific needs are each of your home’s rooms can be remodeled with the ideal function in mind. Feel like you need a bigger kitchen with lots of storage? Perhaps, instead, you just need a better-designed working space with an island. More counter space and appliances laid out in different locations to maximize your cooking efforts can work wonders. Living room always cluttered? Think about remodeling with built-ins that serve as storage for items like throw blankets, books, movies, games, or anything else that might create clutter in your living room. Visual balance can most easily be achieved by symmetrically arranging your furniture. You can also make some remodeling design choices to achieve architectural balance in your rooms. Creating radial balance with a circular light fixture is an example of this. Should you choose to renovate, remodel, or embark on an addition, you might consider how you design your ceilings to achieve this balance. A radial chandelier or soffits in your living room would become the central pillars for your symmetrical space. Are you looking for help designing a beautiful home based off the minimalist interior design trend? Read more on our blog, call (703) 961-7707, or email us to get started. Moss Building & Design is the top home remodeling company in Northern Virginia that has established a reputation for excellence in remodeling additions, kitchens, bathrooms, and basements and providing home services for homeowners. With a strong focus on community, Moss Building and Design encourages a hands-on approach to home improvement with an emphasis on education. Their ‘Girls Night Out’ HandyMOM101 events offer DIY workshops covering projects like tiling, power drills, caulking, and patching drywall. 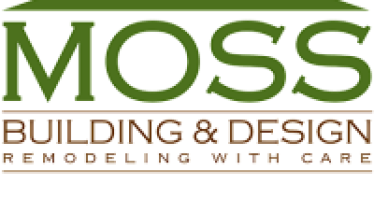 Connect with Moss Building & Design by clicking: Online, Facebook, Twitter, calling: (703) 961-7707, and emailing. How Can I Incorporate Shiplap Into My Home?